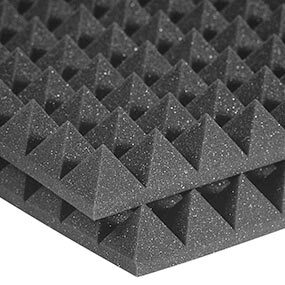 Auralex Studiofoam Pyramid Panels are acoustic panels used to treat most small to medium sized areas, including vocal booths, control rooms, studios, broadcast facilities, home theaters and rehearsal rooms. Dramatically improve your acoustics, while giving your room a great look. Absorbs up to 60% better than other brands, and won't crumble with age. Whether it's your first home studio, a home theater, or a noisy listening environment, Auralex Studiofoam Pyramid Panels are designed to dramatically improve your acoustics, and give you a great look. 2" acoustic Studiofoam is quite simply the workhorse of the industry and is your safest bet if you're tuning your room yourself without the help of a professional acoustician. Do you know what a bad-sounding room sounds like? Two common examples of bad-sounding rooms that you're probably familiar with are gymnasiums and tiled bathrooms. The good news is that by implementing the proper acoustical treatments, you can make even the worst sounding room good enough to yield world-class sound. Controlling reflections within a room yields truer sound and allows the "real" sound of an instrument, voice or loudspeaker to come through. Auralex Studiofoam Pyramid Panels provide efficient sound absorption, take care of standing waves and flutter echoes, and give your room a professional touch. A box of 12 wedges can cover 48 square feet. 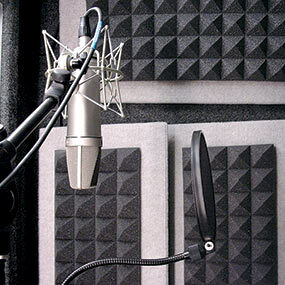 You get industry-standard sound absorption when you use Auralex 2" Studiofoam Pyramids. When used in conjunction with Auralex LENRD or Venus Bass Traps or Sunburst Broadband Absorbers, you can effectively tame the full frequency bandwidth in virtually any room. 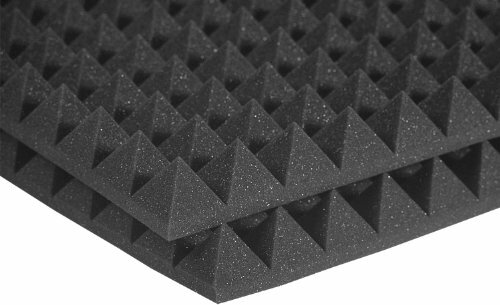 In addition, 2" Studiofoam Pyramids offer a bit of extra sound diffusion and slightly less sound absorption than 2" Studiofoam Wedges, so they yield a less dry-sounding space with a bit more "air". 2" CornerFills, Foamtak, Tubetak Pro, LENRD Bass Traps, VENUS Bass Traps. The workhorse of the industry and your safest bet if you're tuning your room yourself.